When you think of SharePoint you think of it in a browser, for obvious reasons. But your SharePoint data can also power enterprise mobility through native mobile apps. 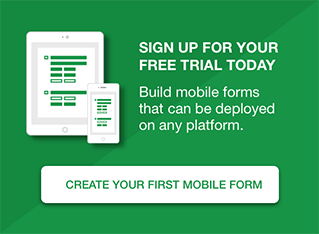 Here are seven ways you can mobilize your SharePoint data using Formotus mobile apps. This has been a core competency of Formotus for years. 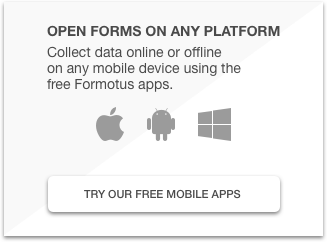 You can upload an InfoPath form to the Formotus portal and deploy it to your mobile users in native mobile apps. Unlike browsers, these apps are optimized for offline opening, filling and submitting of forms. Formotus mobile apps are native to each platform and can, therefore, capture more kinds of data directly from the mobile device sensors. Our ever-growing list of custom controls for InfoPath extend its mobile capabilities, and our online form design solution will have these capabilities built right in. 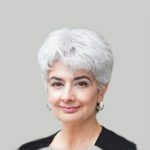 This feature enables much tighter integration with SharePoint libraries. Formotus mobile apps can now be launched using URL syntax. This means you can add a column to your SharePoint form library with a link to open each submitted instance (XML form). We created a custom control for InfoPath that lets you easily connect a repeating table in your mobile form to a SharePoint list. In the mobile app, the user can enter items in the list and click to update the list. Multiple controls can update multiple lists in the same form. Formotus mobile apps support SharePoint’s imaging.asmx web service. This means you can build a mobile form using our custom camera control and use it to submit captured photos directly to an image library on your SharePoint site.